In the eyes of the world, the Republic of Nagorno-Karabakh does not exist. That doesn’t prevent 145,000 people from regarding it as their home, nor does that stop men from dying to protect it. Karabakh is a self-declared republic, unrecognised internationally. It is inhabited by Armenians who in a bloody feat of arms wrested it from Azerbaijan in the early 1990s. The conflict over this beguilingly beautiful region is unresolved and occasionally claims lives on the ceasefire line where Armenian and Azerbaijani forces still spit hate. The government in Baku has vowed to win this land back. I put Karabakh on my itinerary because this conflict looms so large in the South Caucasus. I wanted to feel the pulse of the place and talk to Karabakhtis. To give structure to our visit I suggested hiking a 10-day section of the route called the Janapar Trail. Tom signed up for this and we made a good team. Tom was navigator and I was interpreter. In the countryside of Karabakh, English is almost as exotic a language as Welsh. People speak the Karabakh dialect of Armenian and also Russian. The local dialect is sufficiently different from the Armenian spoken in Yerevan that national television uses subtitles when Karabakh villagers speak. From Meghri in southern Armenia we went back up north through the mountains to Goris and then took a taxi to the Karabakh capital Stepanakert. 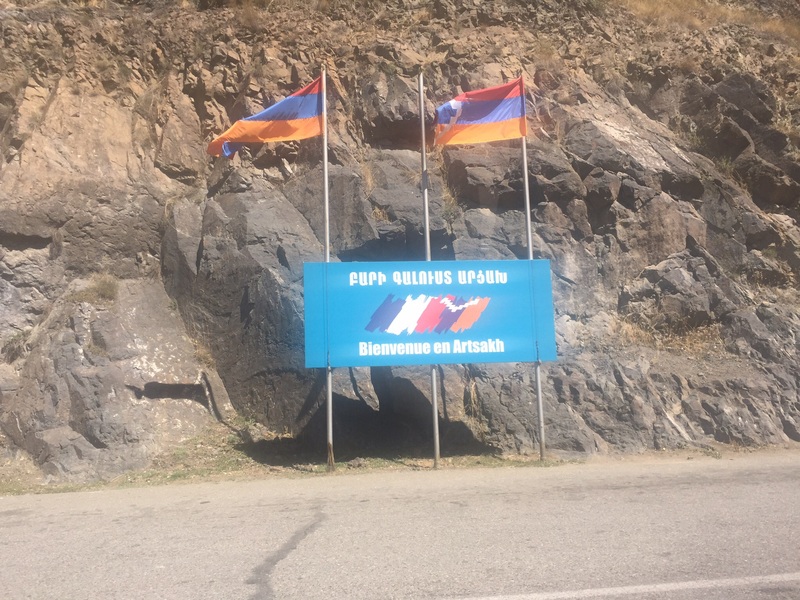 At the border a sign in Armenian and French says “Welcome to Artsakh”. Artsakh and Karabakh are interchangeable terms for the same place. After arrival in Karabakh our law-abiding iPhones moved forward one hour to Azerbaijan time (GMT+5). In practice Karabakh operates on the same time as Armenia (GMT+4). In Stepanakert, an official at the Ministry of Foreign Affairs, speaking polished English, gave us visas on the spot. These authorised us to visit all seven regions we had requested “with the exception of the front line”. The next day, September 21, we headed south by taxi on a quiet asphalt road to the town of Hadrut, the starting point of the trail. The driver dropped us by a church and we were on our own. We had read the janapar.org site with information on the trail and digested some of its tips. Stock up with Imodium against diarrhoea, avoid both the powerful fruit vodka called oghee and romance with the locals. We heeded this advice, but happily never needed the Imodium. The one essential bit of kit is a GPS. With the assistance of janapar.org and the ViewRanger GPS app we downloaded everything we needed onto Tom’s phone. We had a digital map of the trail, GPS guidance, written directions on the route and information on accommodation in each village at day’s end. Much of the trail is waymarked with blue paint, but not all of it. 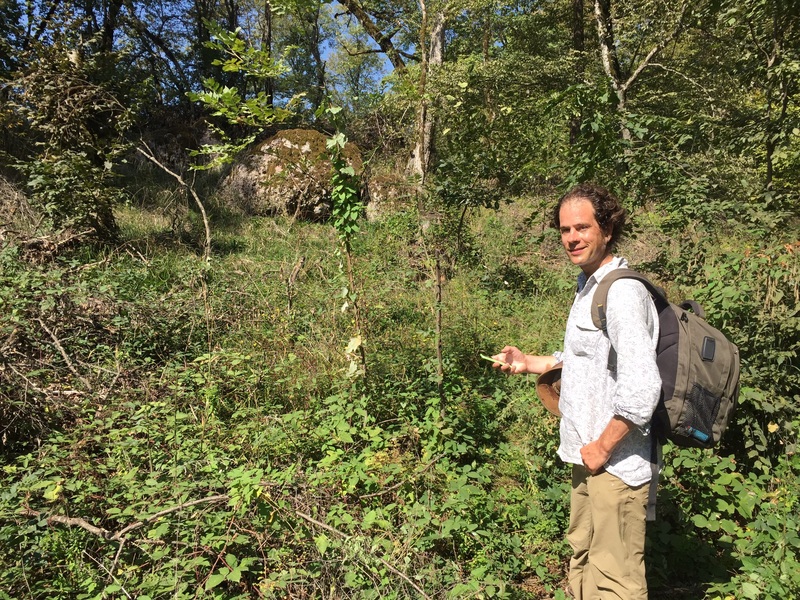 We walked up into the hills north of Hadrut and surveyed a pretty dry landscape, but much of the time we followed a shady tree-lined track with oaks and walnuts. It quickly became clear that the trail designers had worked with the need for shade in mind. The initial day was fairly gentle, 16 km, and on arrival in our first village, Togh, we found accommodation with a butcher called Artur. His house was partly in ruins, but he was a good chef and for dinner he served up delicious pork shashlik garnished with pomegranate. Artur sat with us for a while and we talked. He downed shots of oghee from a wooden cask sitting on the table and painted a gloomy picture of Togh. The population, he said, had dropped from about 10,000 a century ago, when Togh was a centre for the silk industry, to about 700 today. There are ruined buildings everywhere. He spoke disparagingly of Lenin and the 1917 Bolshevik Revolution and expressed nostalgia for the Russian Empire, of which Karabakh was part. “When the tsars ruled it was better,” he said. But Togh is attempting a comeback, even without the tsars. Last year it held its first wine festival and this October it will be inviting oenophiles to come back for more. Togh’s red wine graces the menu of at least one top Yerevan restaurant. On day two, heading for the village of Azokh, we walked through a sublime beech wood, still in the green garb of summer but with a few leaves falling in a mesmerising slow-motion dance. I think we looked tired on arrival. Two village women walked up to us and kindly gave us grapes. We sat and feasted hungrily. We found accommodation in a house with a well-laden pomegranate tree and many hens and pigs. When I headed for the outdoor shower room, one pig briefly joined me. 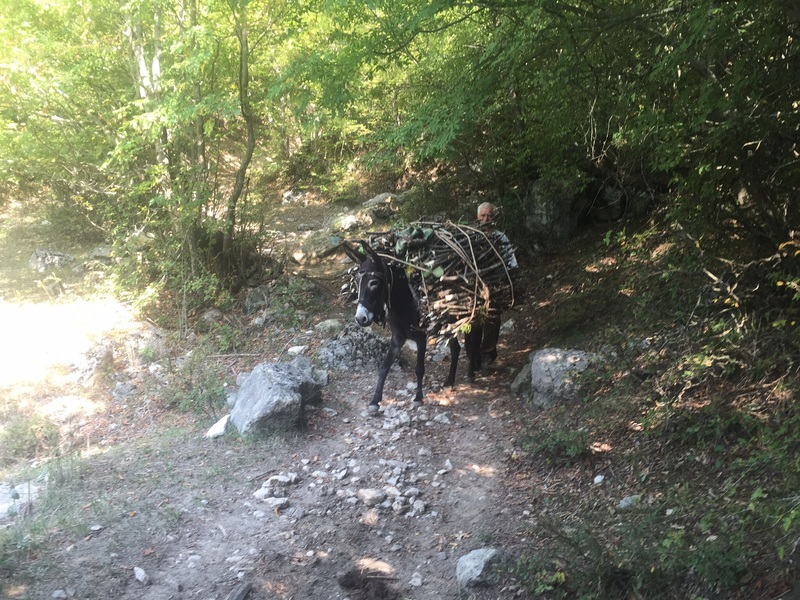 This Karabakh trip is more a celebration of rural life than an ode to modern plumbing. Day three and the landscape is arid. “It is a bit like ‘The Grapes of Wrath'” said Tom, invoking John Steinbeck’s classic 1939 novel about farmers fleeing drought in Oklahoma. We had just walked past some abandoned farm machinery by the roadside in the village of Shekher. In Karabakh, rusting agricultural vehicles are a common sight. At the end of day four we arrived in the village of Avetaranots. During these first four days we didn’t see one bar or cafe. Our routine on arrival in a village was to seek out a shop – there was always at least one – and buy the coldest beer they had. In my memory these villages have fused into one. I recall the hellos and the stares of neatly dressed schoolchildren, the strutting geese, the grunting pigs and the kindness of strangers. Our fifth day on the trail was a highlight. We were into our stride now and we bundled days five and six on the janapar.org site into a tough one-day hike to the old fortified town of Shushi which stands atop a cliff. After the village of Karintak the trail enters the dramatic Karkar Canyon. The path follows a river and is mainly a scramble through woodland, with a 700-metre high limestone wall visible through the trees. Finally, a steep rocky path climbs to Shushi. Nothing can quite prepare you for this town, which is unlike anywhere I have ever seen. Soviet-era apartment blocks are not uplifting at the best of times, but we entered Shushi along a dirt road with a forlorn inhabited block on our left and the empty shell of a ruined block, overgrown with weeds, to our right. 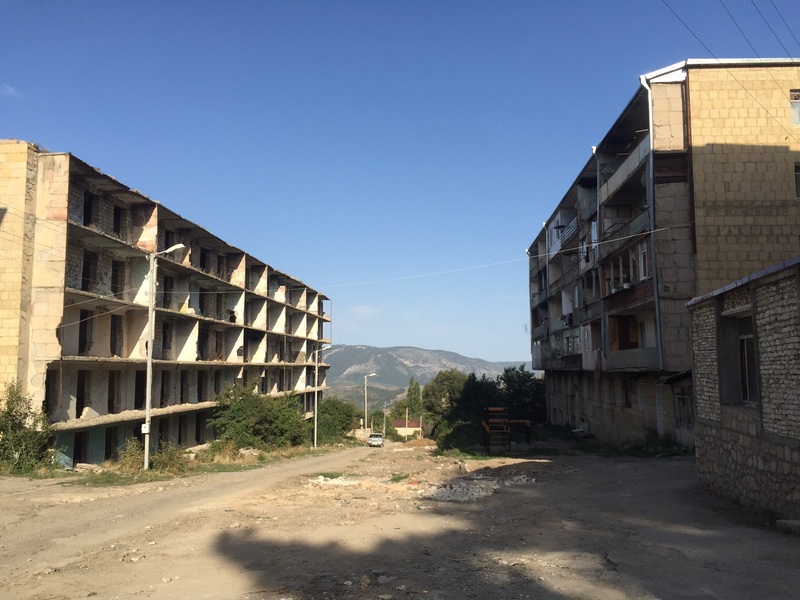 Twenty-one years after the end of the Karabakh war about half of Shushi still lies in ruins. But it is a functioning town, with about 5,000 inhabitants. During our visit there was a wedding in the white limestone cathedral. There are four working museums, hotels, restaurants, cash dispensers, asphalted roads. 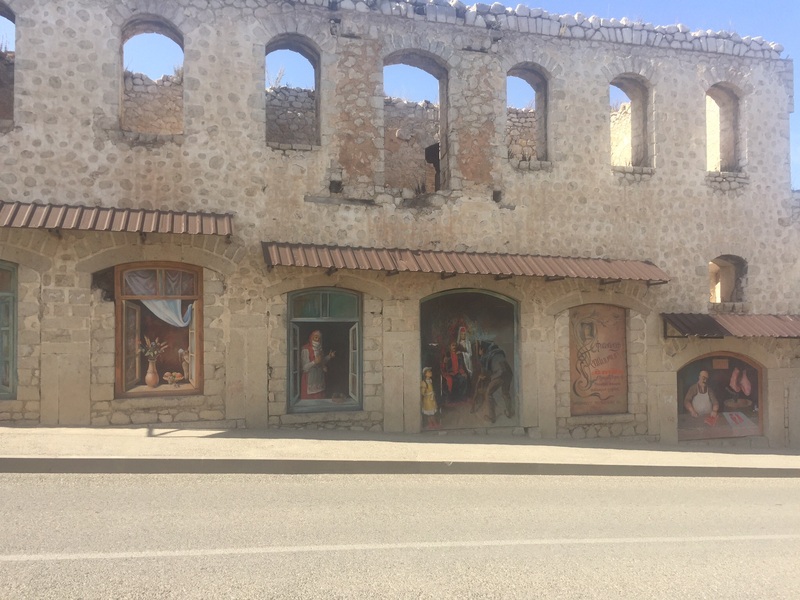 Shushi, or Shusha to Azerbaijanis, has had a tortured history. In the early 20th century it was one of the biggest towns of the South Caucasus, with a healthy economy based on silk manufacture, craftsmanship and trade. With the benefit of hindsight, 1904 looks like a high water mark for multi-ethnic Shushi, which was important for both Christian Armenian and Muslim Azeri culture. In that year, Shakespeare’s “Othello” was performed in Turkish in Shushi’s 350-seat theatre. Things began to fall apart when Russia’s 1905 revolution sent shockwaves through the empire. The events known to history as the Armenian-Tatar Massacres left many dead across the Caucasus. In Shushi hundreds were killed or wounded and the theatre was set on fire. But fate reserved a much crueller blow for Shushi. In 1920 Azerbaijani forces laid waste the Armenian quarter of the city, killing hundreds if not thousands. In the words of scholar Thomas de Waal, the Armenian quarter “stood, ghostly and untouched, for more than 40 years”. We stayed two nights in Shushi and had time to hear something of its more recent history. Saro Saryan, president of the Union for Armenian Refugees, gave us a guided tour of the history museum, with emphasis on the battle for Shushi in the Karabakh war. Armenian forces captured the town in an extraordinary night attack on 8-9 May, 1992. Two divisions with equipment strapped to their backs climbed the sheer rocks on Shushi’s southeast side. Azerbaijani troops and Chechen volunteers led by Islamist commander Shamil Basayev fled. From then on the tide of war flowed in favour of the Armenians. We sat for a while and talked in the small museum office. I asked Saro how he rated the risk of another Karabakh war. “Fifty fifty,” he said crisply. Saro offered advice to Europe. He is wary of Islam and he brought up the subject of migrants arriving in Europe, many from the Middle East. “You must be very careful with your prosperity,” he said. He depicted Christian Karabakh as a front line in a struggle against Islamic fundamentalism. In Karabakh, the Azeri Muslim voices in the system are silent, because they were uprooted by war and left for Azerbaijan. Armenians, in their turn, were uprooted from Azerbaijan. Saro, for example, was born in Baku, the Azerbaijan capital. As is usual in conflicts, each party feels aggrieved. Time to clear our heads and move on. 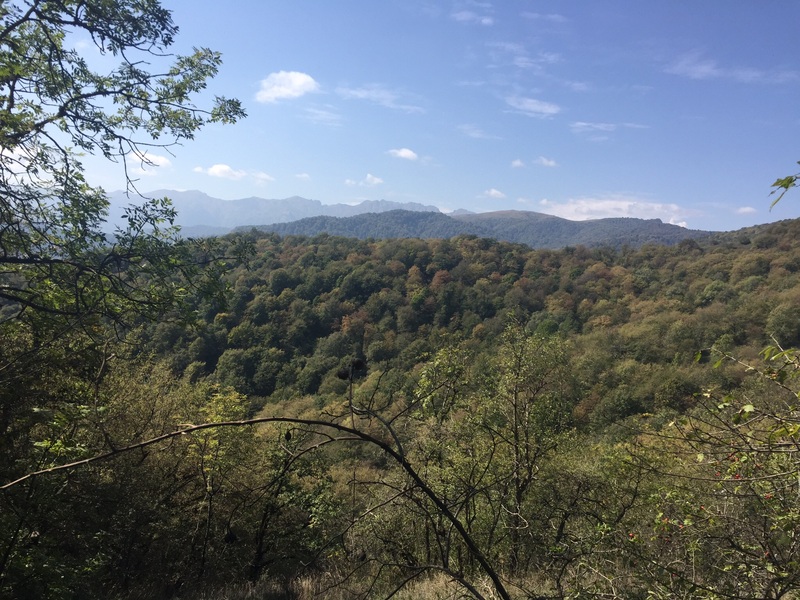 Day seven was a gentle stroll downhill to Stepanakert. This is a sort of Bonn of the Caucasus – a tranquil provincial town catapulted into being a capital. It is true that small groups of uniformed soldiers wearing black berets can be seen of an evening, but perhaps the most striking thing about Stepanakert is how normal it looks and feels. The town is some 30 km from the front line, but the mood seems relaxed and confident. There are no derelict buildings and some construction work is taking place. 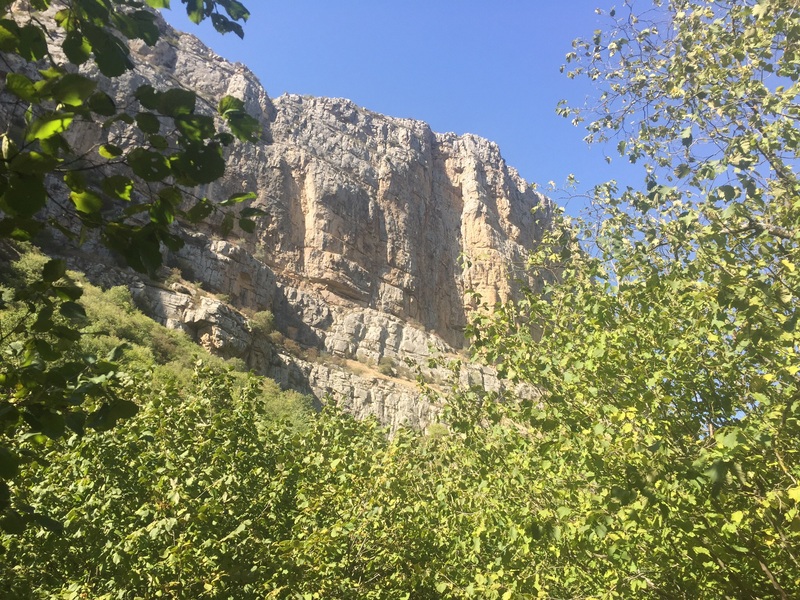 Day eight and we walked to the village of Patara where we stayed in the home of Stepan Grigoryan and his mother Emma. Unusually for Karabakh, Stepan speaks English. He works for the International Red Cross, partly helping land mine victims to earn a living, and he also runs a small bread business with his mother Emma. Emma’s kitchen buzzes with activity. She and a team of women turn out about 140 to 150 loaves of flat Armenian bread a day. The Karabakh war left Emma a widow and she brought up a young family alone. She used to be a post office worker and started the bread business a year ago. Stepan joined us for dinner and suggested that we drink toasts, just as in Georgia. He invited me to be toastmaster. My first experience in the role of tamada! I was mindful that the main news reports in Karabakh were of a spate of violent deaths, eight in all, civilian and military, on or near the front line. I said we should follow the custom of the Georgian region of Adjara. “The first toast is to peace,” I said and we all raised our glasses of home-made blackberry wine. Stepan was a much more cheerful drinking companion than Artur in the struggling town of Togh. He radiated youthful optimism and at 26 had seen a bit of the world. He had been on a leadership course in France and combined an international perspective with a deep attachment to his country. He expounded on the rule of Vachagan, who in the late fifth century and early sixth century AD built many churches, bridges and roads in Karabakh. 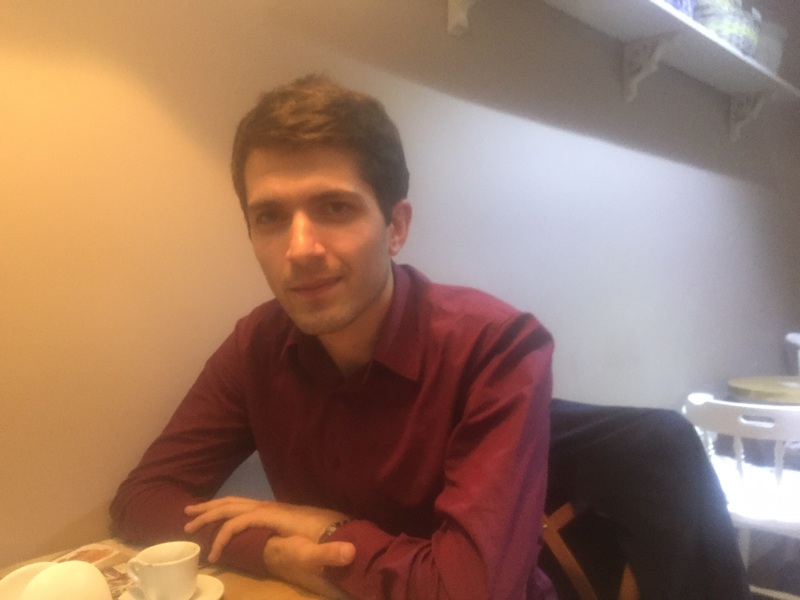 “Karabakh people say Karabakh is the centre of Armenia,” said Stepan, whose flow was interrupted by one of the women walking in with a trayful of bread. He excused himself, since he had to pitch in and help. Before turning up at the Red Cross office, he does bread deliveries. Day nine, the toughest day of the trail but very lovely. Some of the time there was no path. With GPS in hand, we bushwhacked through pristine Karabakh forests, home to wolf, bear, lynx and jackal. Particularly challenging was a section around a spectacular natural rock called Kachaghakaberd, Fortress of the magpies. Here local people took sanctuary in the 8th century from Arab invaders. This is a remote spot, with difficult terrain of sudden drops and thick bramble bushes. Without a GPS or local knowledge, heaven help you. Day 10 and our journey’s end. We arrived in the quirky mountain resort of Vank, which has its own little zoo, and checked into a hotel shaped like a ship. After a visit to the 13th century monastery of Gandzasar, considered one of the masterpieces of Armenian architecture, we celebrated at a tiny timber-built restaurant by the roadside, with views over the wooded mountainsides. We declined pig’s head, but to the sound of a lion roaring we ate tasty vegetarian fare including Zhingalov khats, the Karabakh speciality of flatbread with a variety of herbs. We washed it down with local white wine.